What makes New York City New York City is, street music/dance performances. There are numerous talented and free-spirited artists here and they don't have much communication means with their audience. 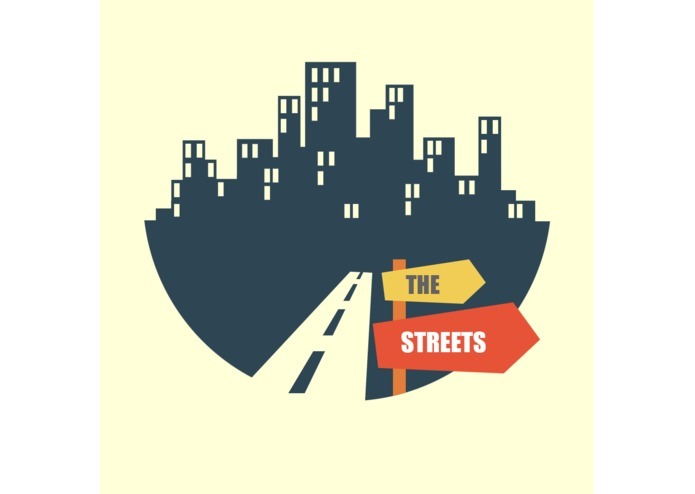 We wanted to provide a platform for people who enjoy street arts and artists. 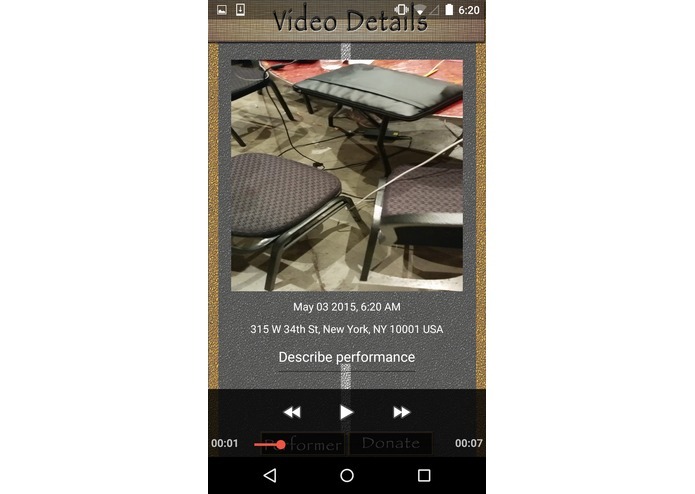 When a user of the app sees a nice street performance, they can upload a real-time video that automatically includes the location and time. 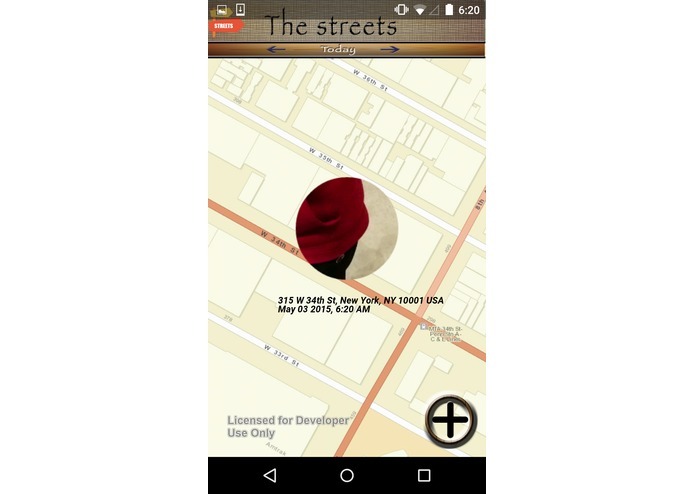 The videos can be shared with other people including tourists who want authentic street art experiences in New York City. 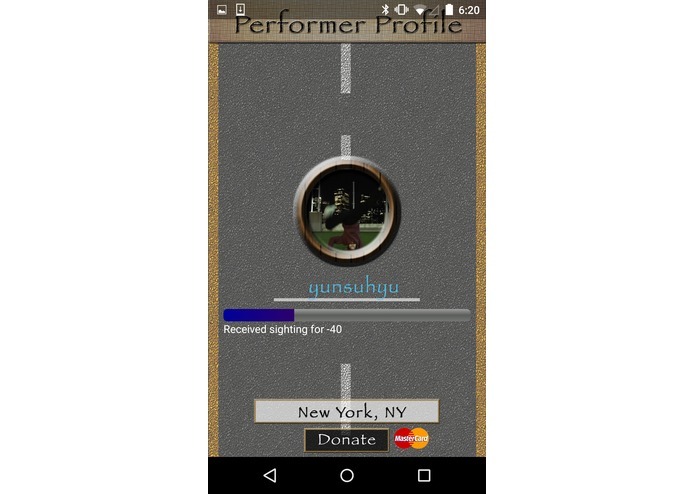 If the dancer has a profile on the app, then you can directly make a payment to the performer. 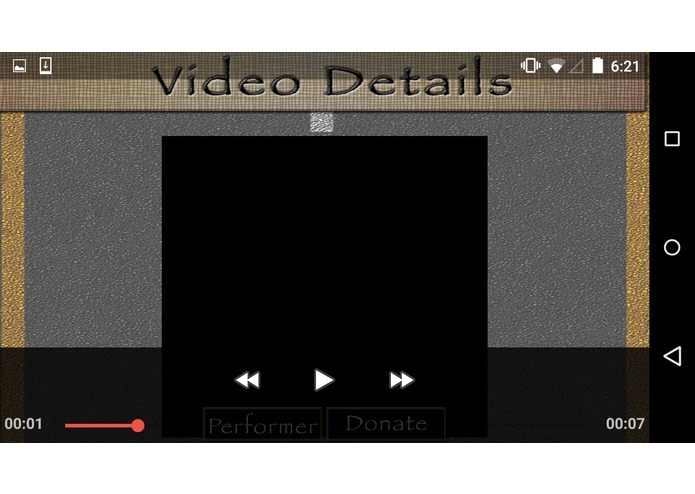 Also, you can donate to an artist after watching a video without having to be on-site of the performance. In addition, you can get future event schedules of the street dancer. If you're within 100 meters of the performance of interest, you will get a notification on your phone that you are nearby a cool performance. 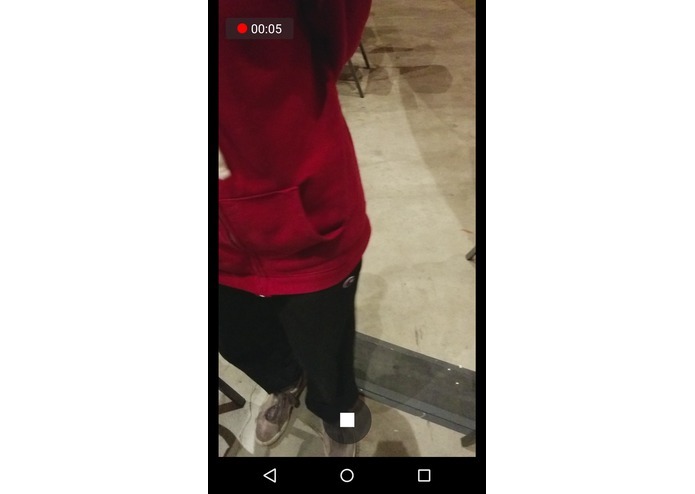 If you're close enough to the dancer, the app will show you how close you are to the performers with the bluetooth integration with Gimbal. 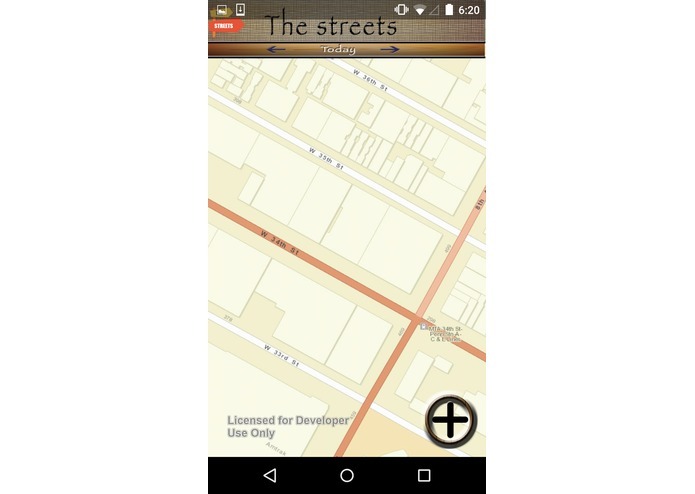 The hardware limit was the biggest challenge in the process of development of this app. We wanted to give the user an exact number for how far is the performance, but the bluetooth integration had a limitation of detecting the distance. First of all, we incorporated 3 different apis: MasterCard api for the payment, Esri for map view and Gimbal for geo-location and geo-fencing. Out of all, our biggest accomplishment is the video view laid on top of the Esri map api in a bitmap drawable with real-time information. Those who came here to make money will not get much out of the hackathon as opposed to those who came to make an app out of passion. We'd like to provide access to street performances with tourists as well as resident new yorkers. We hope to help underground artists have an opportunity to shine and make their name. 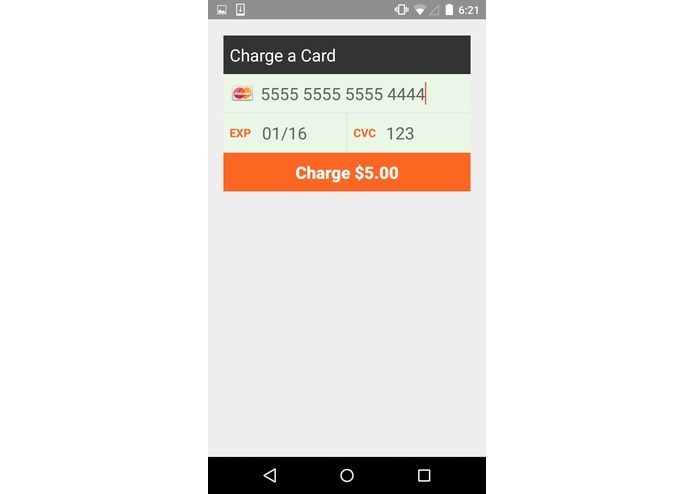 Came up with an idea, worked on the flow of the app and integrated MasterCard API and Gimbal API. I am trained to be a chemist in school and self-taught developer. I can make tangible products (chem. solutions) and intangible ones (apps). Thrives in any situation - no matter the odds. My contribution: All UI/UX design apart from the 'intro logo' and 'splash screen'. - Some flow items & logistics on providing an intuitive user experience. I was awake for almost 72 hours by the end of TechCrunch! (arrived at TC with no sleep for 48 hours! 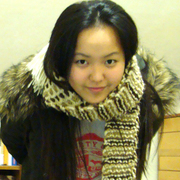 - busy week!) - determination -Check. 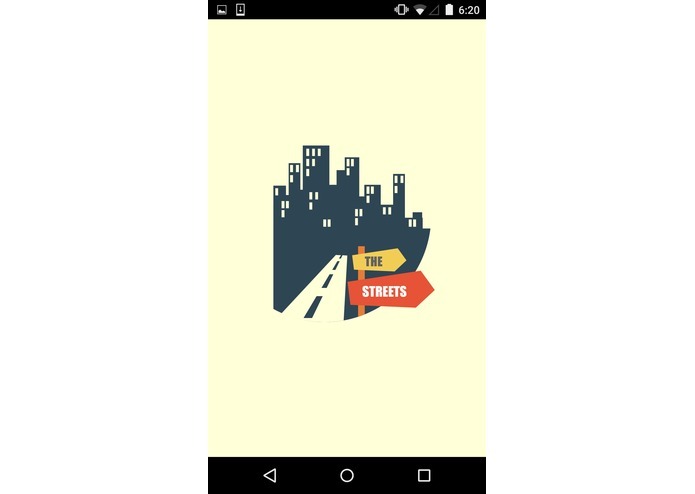 Logo, splash screen, title, ideas to spark up the app, and presentation.